Note, this is part one of four on how to Critique Your Photos. This four-part photography tips articles series will focus on 10 steps that should help you improve your photography. As a photojournalist most of my life, I’ve had the pleasure to work with some great editors and photo editors. Yes, there is a difference, as the editor of a publication is usually “the general manager of the publication’s editorial content” while the photo editor is “the manager of the visual piece or pieces of that content.” Photo editors know what makes a great image plus if an image is suitable for the intended editorial content of the the publication. Generally photo editors are the first-line editors that will critique your photos before publication. 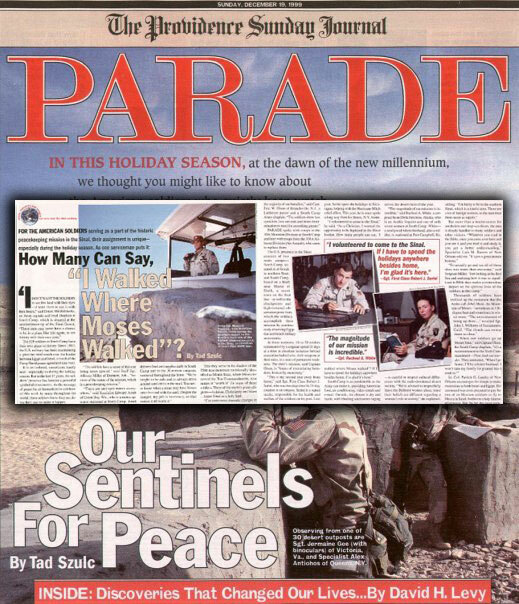 My largest “tear sheet” was a cover story for PARADE magazine, circulation 32 million printed copies. Those that work in the publication industry know photo editors can critique your photos extremely well, even if they can’t shoot their way out of a paper bag. There are other photo editors that can shoot circles around most photographers too. Both types have a common trait, they truly know what makes a great photo and they coach photographers plus help them nurture their careers as the photo editor critiques their photos. I’ve been fortunate in my photography career as I’ve had the pleasure of being a photographer and photo editor and as a contributing editor to Studio photography magazine. All the editors I’ve worked with have influenced my photography. If you ever work with a photo editor, you may not always agree with their decisions, but you’ll learn from those decisions their photo critiques. In this photography tip article series I’ll share things I’ve learned over the decades from various types of editors, from my high school monthly newspaper and yearbook staff days, up to the editors of the world’s largest publication, Parade magazine, circulation 32 million printed copies every Sunday. So, use the information in this article series to critique your photos, or to critique photos created by others. Be genuine, be tough, and don’t sugar coat your photo critiques, but do it constructively, not destructively. Take an honest and proactive approach to your photo critiques. Please study the steps below and in the next three parts, then apply this list of steps used by top photographers and photo editors worldwide to critique your photos. 1. Exposure is the first thing a photo editor looks for and with digital photography today, there is no excuse to not get your exposure correct in your camera. Photographers today have the ability to make camera adjustments as they shoot, unlike the film days. This instant gratification digital photography brings along with the ability to understand a histogram on your camera’s preview screen, allows you to shoot, adjust, then shoot until you have a perfect exposure. Remember, always do your best to get it right in the camera first. Don’t make postproduction a crutch. Always focus on the eye of the subject closest to the camera as you never want the soft-shooter label in the publication industry. If your photos don’t include a living subject, such as a person or animal, then pay close attention to the overall sharpness of the main element — it should always be tack sharp. As a contributing editor for Studio photography magazine, I still had my photos for my articles approved by a photo editor as in this tear sheet. 3. Composition, framing, and how it draws the eye are judged by photo editors when they review potential photos for publication. It’s important to understand the composition in your photos and to study how the image is framed for visual impact. This plays a major role when you critique your photos, as there are many sub-elements to consider in composition. When you critique your photos, ask yourself, is the image framed properly, or is the entire capture area of your photo fully utilized — in other words, fill the frame! The worst thing a photographer can say is, “I’ll crop it later in postproduction.” Cropping outside the camera is for farmers. When a frame is not filled you throw away pixels, and in some cases, mega-pixels. While sometimes “negative” or “white” space is essential to capture a great image, do your best to fill the frame with the mindset to get it right in the camera. Second, while there are many rules of composition, the more common rule that works well is the Rule of Thirds. The Rule of Thirds simply states that if you equally divided your image area up into three parts, horizontally and vertically (nine equal parts) and place your main subject where the outer parts (lines) intersect, this will make your image more powerful. The rule also recommends that you don’t place your subject in the center. It’s also equally important that you leave room in the direction where your subject is faces or the action takes place. For example, if you have a photo of a kicker kicking the football toward the goal posts in a high school football game, you want to include the goal posts — no one cares about the referee standing behind the kicker, before the kick. The ideal shot is when the football goes through the goal posts coupled with a victorious emotion of the players — and if you do get the referee, make sure his hands are up in the air indicating the field goal or extra point is good. Note, this is part one of a four-part photography tip article series on how to Critique Your Photos. Now let’s continue to take your photography to the next level and go to part two.